Time for the next installment of this "What if" scenario involving the then year anniversary of the trade that never happened, Alex Rodriguez to the Boston Red Sox. 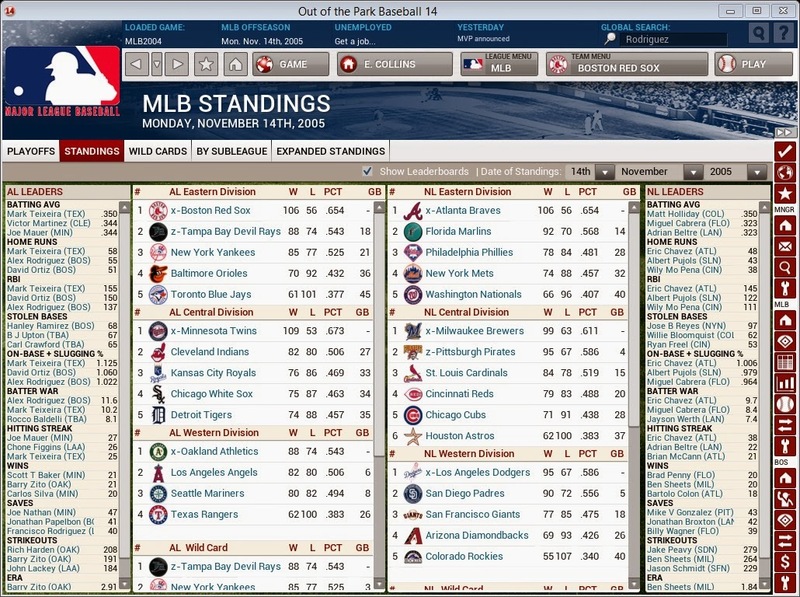 The 2004 season brought a Red Sox division title but a first round exit in the playoffs. 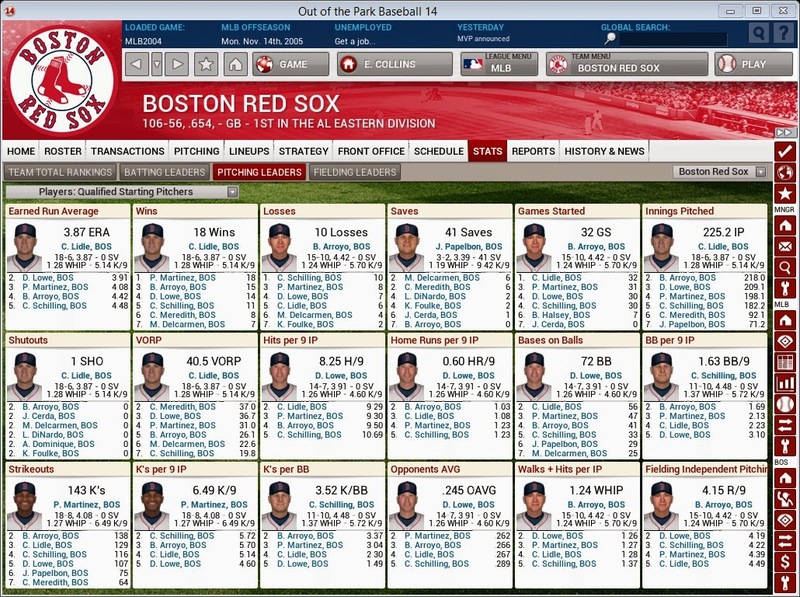 The 2005 regular season was impressive for the Red Sox as they won 106 games and won the AL East by 18 games. The Red Sox lineup was potent. David Ortiz had another huge year, Hanley Ramirez would win Rookie of the Year, Carlos Beltran who signed as a free agent would be well worth the money and Alex Rodgriguez put up MVP type numbers. Hanley was the full time DH this season as AROD is the SS. Will be interesting to see if the Sox move him to third base in the future. 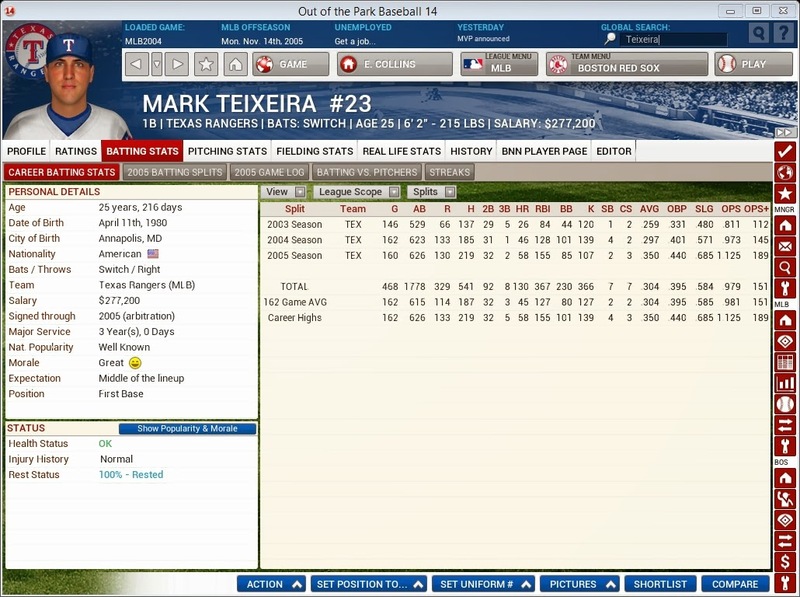 Mark Teixeira of the Texas Rangers would end up winning the AL MVP for the Texas Rangers along with the Triple Crown. A strong case could be made for AROD being the MVP. AROD had the highest WAR in baseball at 11.6 to Teixeira was at 10.2. Both really impressive seasons. 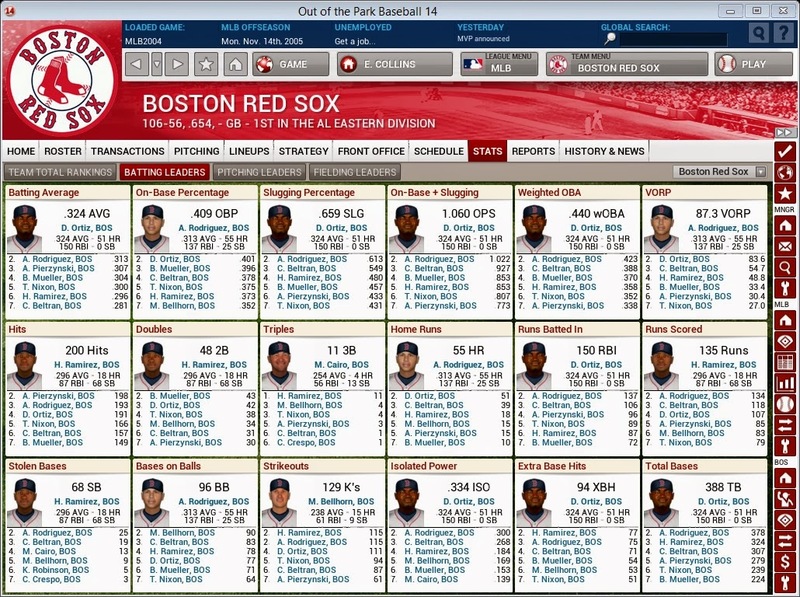 Alex led the Red Sox to a division title and 106 wins while Tex led the Rangers to a last place finish and a record of 62-100. 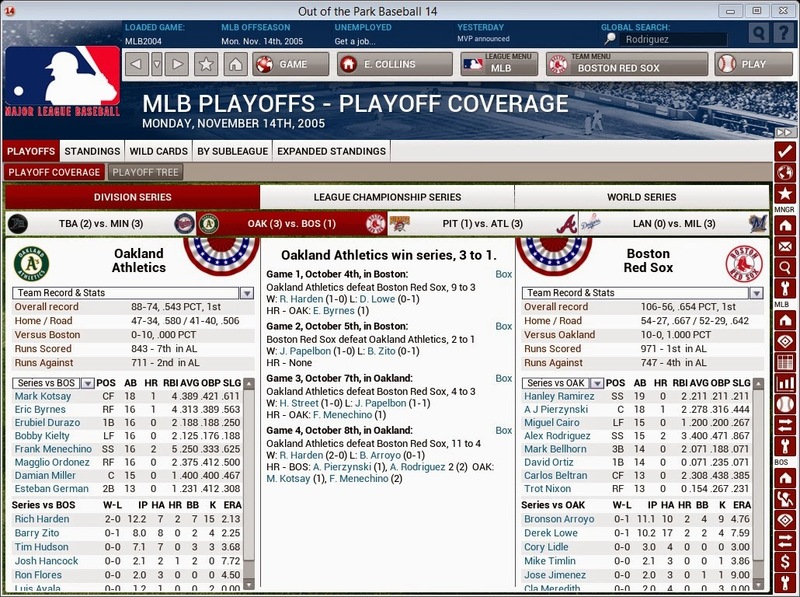 1918 was the last Red Sox title and 2005 would not be a title year either as the Sox lost in the first round of the playoffs, this time to the Oakland A's. Alex Rodriguez can't be blamed though as he played well in the series. David Ortiz struggled and the Red Sox were without Curt Schilling who was injured. Pedro Martinez did not pitch in the playoffs because he was involved in a brawl during the final regular season game and was suspended for five games. Talk about some controversy! Pedro will be a free agent now. Will he come back? 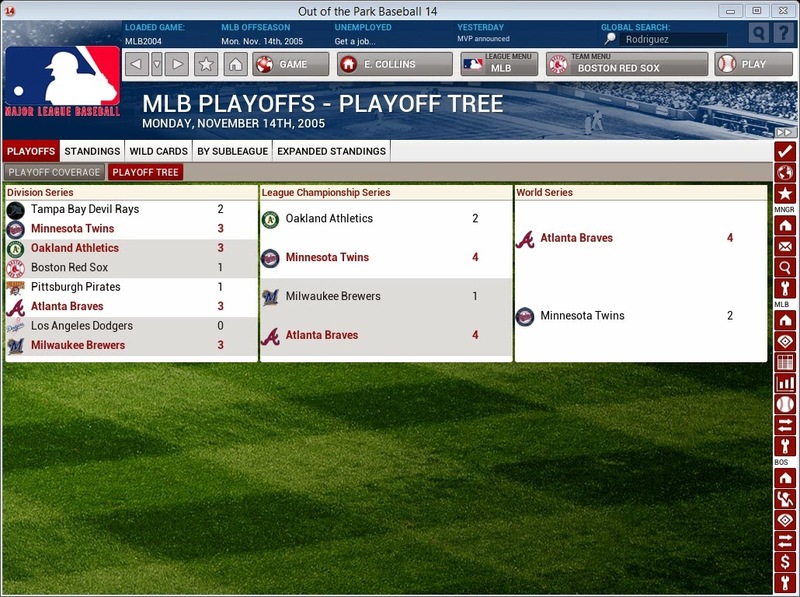 The Atlanta Braves would go on to win it all behind Eric Chavez. Chavez won it all with the A's the year before and then signed a big free agent deal with the Braves moving Chipper Jones back to left field. Being a big Nomar Garciaparra fan I was hoping that this new history would play out differently for him. It appears that he is headed on a huge demise. The Cubs finally signed him to a 2 year deal worth $5 million just before the season began and then traded him to the Houston Astros for Wade Miller. Nomar is not in the best of moods and his numbers at the plate look pretty bad.